The coolness of the restaurant is what surprised me the most. And the variety of the menu, although the main stream is Burgers. Burger Eindhoven with a Capital B, yes! That’s because you can forget Mc Donald’s, Wendy’s, Burger King, and all others compared to this place. When you see this place from the outside it looks tranquil, but once inside it is very much full of energy. The atmosphere at this place is very international. Last time I was there I heard a lot of English-speakers, so I guess it must have an international reputation. It’s not your average American diner though, with a metallic shine and old ladies serving you your second cup of coffee for free as a refill. The kitchen is advanced, the staff is very nice and the Burgers are great. The look and feel of the place is very stylish. There’s a purple light gazing through the end of the restaurant, there’s a lot of artwork (check out the cow on the wall) and the tables are big wooden serving plates. It’s a good place to hang out, have some burgers and stay for drinks with your friends. The food is really delicious and the menu is big. My favorite is the Tasty Hereford Burger they call the Hangover Burger, and that name is not shy of its reputation, it’s HUGE and very tasty, especially with the fries they serve. Next time I will be opting on the chicken burger, because that one looked good as well. 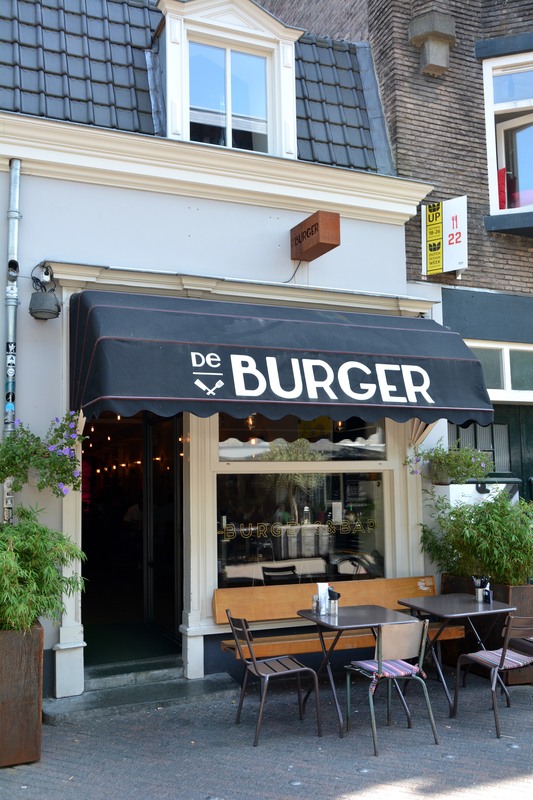 So next time you’re in the City of Eindhoven and don’t know exactly where to go, go and try these delicious burgers and make one of them your favorite! Enjoy your meal @ Burger Eindhoven. Not feeling like burgers? For more ideas visit my dinner hotspots. Uhmmm… what burger will it be? 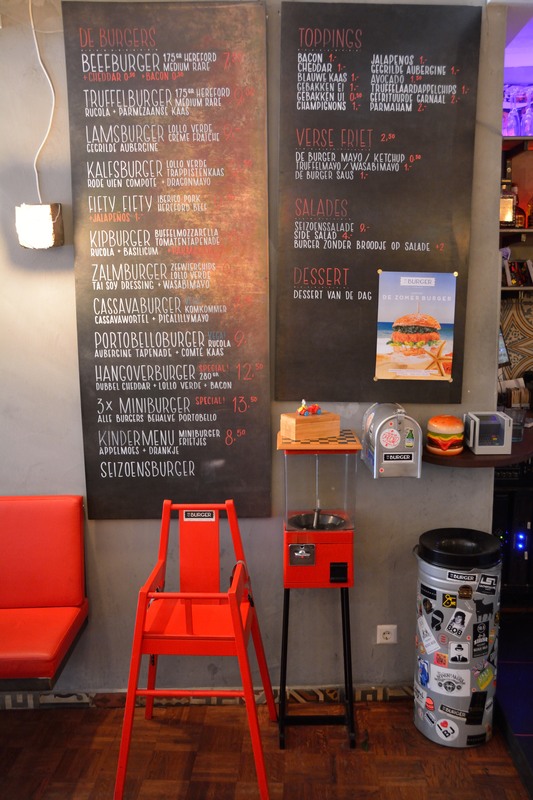 Yumm… Burgers and good atmosphere! 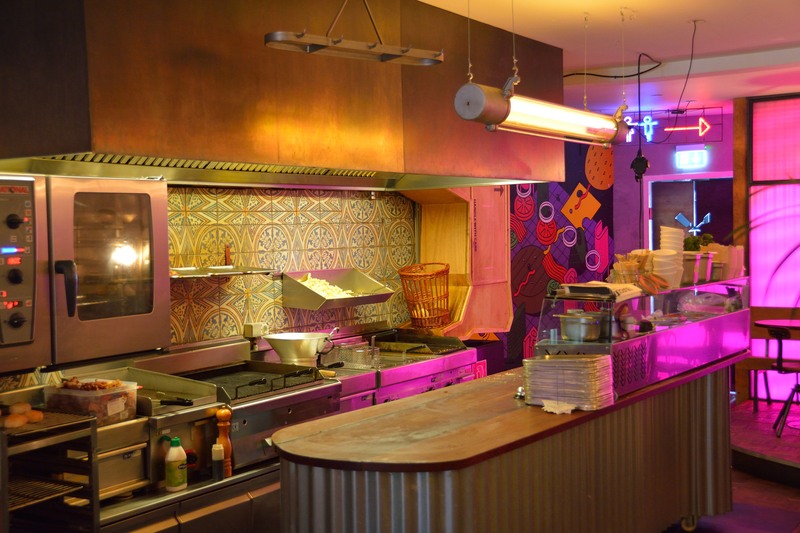 8 januari 2015 | Filed under Dinner spots, Drink spots.